You may have seen these colourful bowls of goodness floating around the internet lately, I’m obsessed with making them and so I thought I’d share a few of my favourite recipes with you and even share some of the benefits of them too! 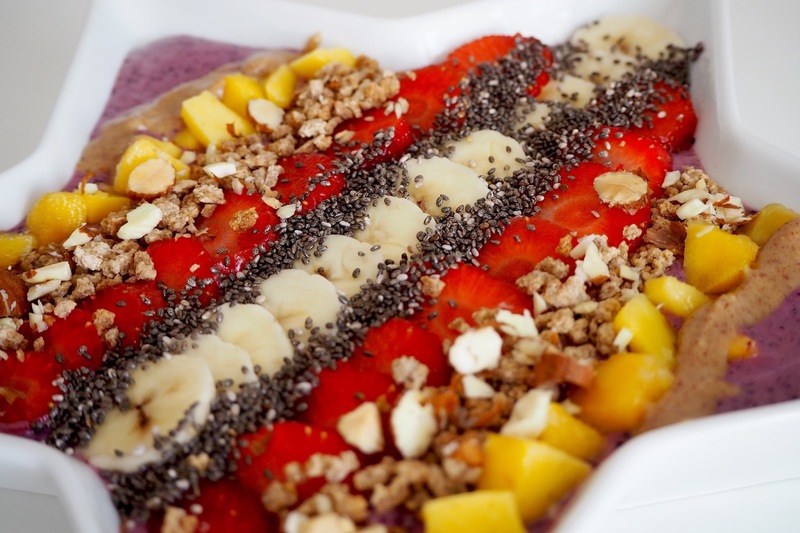 Acai Bowls are basically smoothies in a bowl, with toppings! 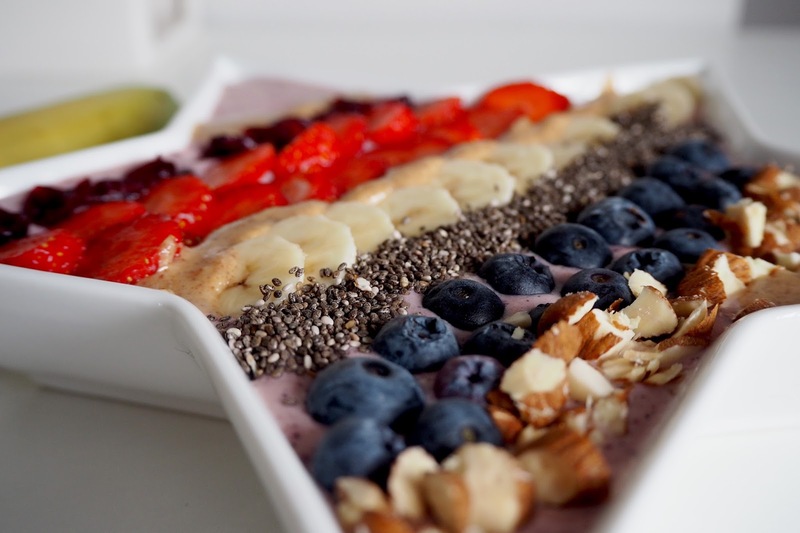 The Acai berry contains antiocidants, high amounts of fibre and healthy fats - yes, healthy fats. Our bodies work on both good and bad fats known as saturated and un-saturated fats... but theres a little bit more to it than that as they are split into 3 different categories between the good and bad, things like Acai Berries, Nuts, Seeds, Oils like Coconut, Palm etc, are all healthy fats that your body can work with and needs to sustain a healthy balance. 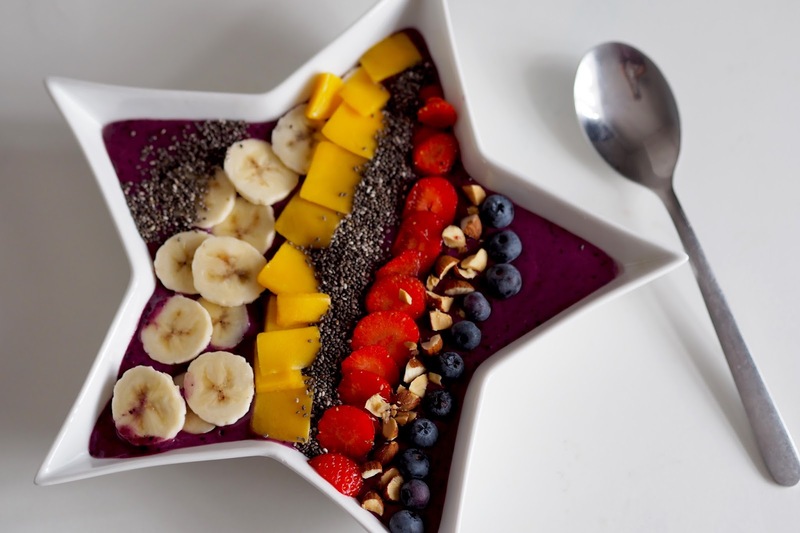 Acari bowls are basically just a fancier way to eat your fruit and good stuff and add a little something different to your diet. I get so bored of eating the same thing and I’m trying not to stick to a certain diet, just to learn to control my food a little better (with the help of Adam), I’m getting better and enjoying it a little more too! 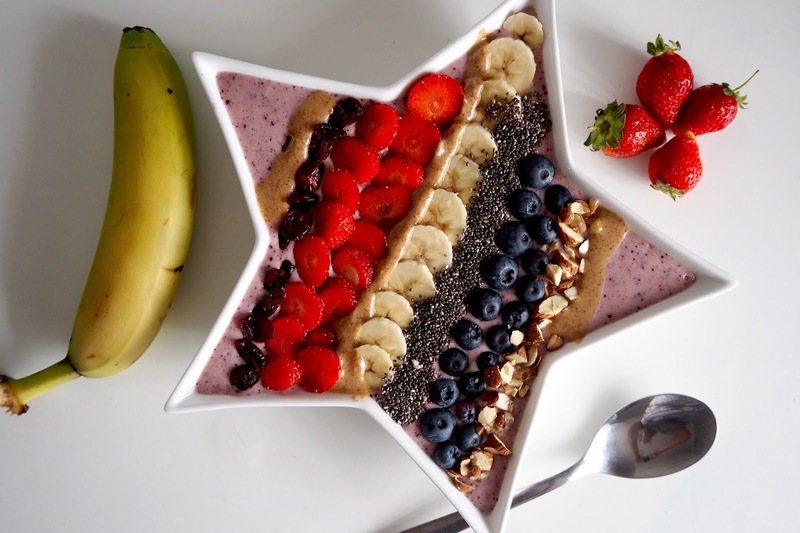 I have been having Acai bowls for breakfast or lunch most of the time as they’re super filling and lovely to eat in the sunshine! 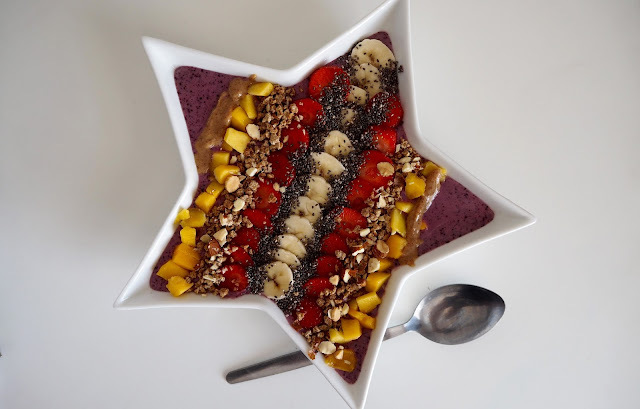 You can use a huge variety of ingredients and make up so many different kinds of bowls with so many fruit and vegetables, I thought I’d share with you some of my favourite recipes. 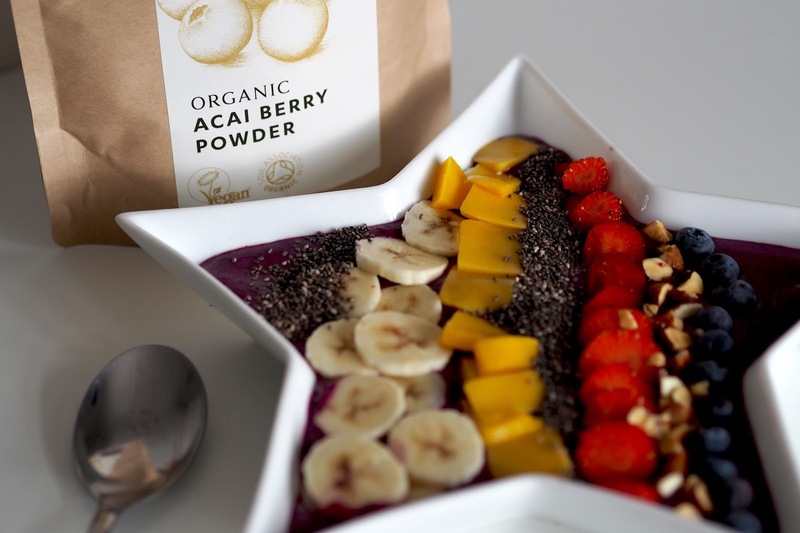 I bought the Seven Hills Acai Powder from Amazon and use just a tablespoon in each mixture to add the Acai to it - you can of course, make these without the Acai in as they’re still a super healthy meal alternative. If you want to learn a little bit more about how to control your eating habits, want to see some fat loss, or are just interested in nutrition to get back on track with your own diet, head over to Adam’s Personal Training page where he’s offering some FREE advice on how you can do this for a limited time! Better yet, make sure you check out some of my own other healthier recipes including an easy Chilli con Carne, Chickpea Curry and some yummy Overnight oats! 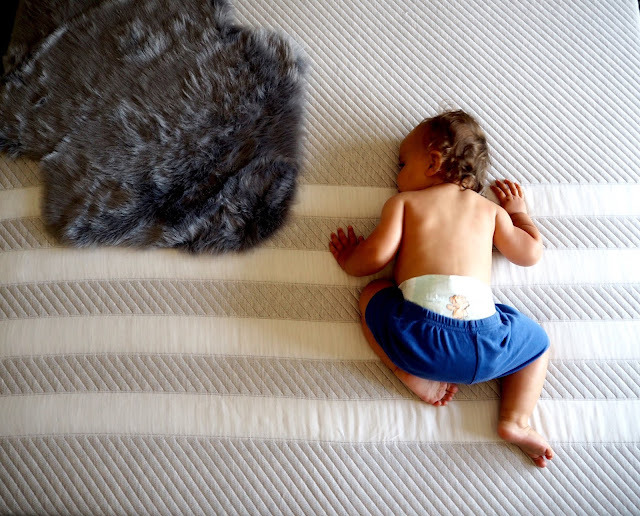 How important is Routine for a Baby?